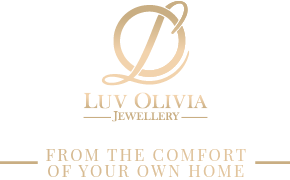 Book an appointment with Luv Olivia and browse our range of jewellery from the comfort of your own home, at a time that suits you. 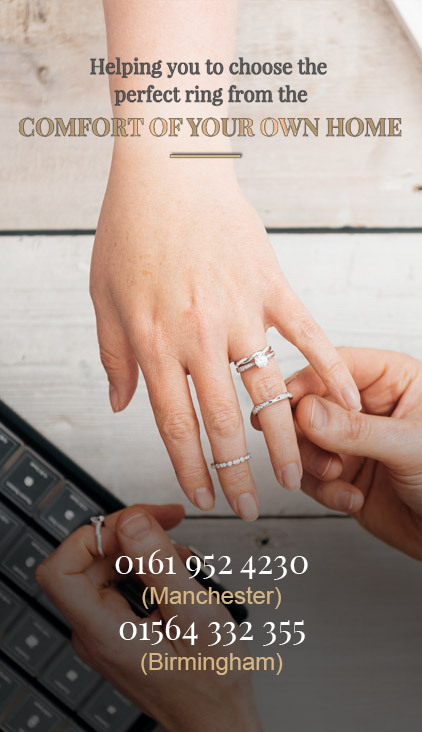 A free no obligation consultation usually lasts around 90 minutes, where you will be able to choose from over 200 styles, be offered advice and guidance, saving you money and most importantly helping you to find the perfect rings. Here at Luv Olivia we understand that your rings matters. They can stay with you for the rest of your life and be passed onto your children. Let’s choose the perfect one together. You can also visit us at one of our showrooms in Manchester or Birmingham. Simply fill in your details and any personal requests you may have, and we will contact you shortly. If you would like to request more information regarding any of our products please fill in the form below or give us a call on 0161 952 4230 (Manchester) or 01564 332 355 (Birmingham). Complete the simple form below to request a consultation and view our huge range of rings up close from the comfort of your own home, benefit from our expert advice and save £££s off typical high-street prices. Every couple that makes an appointment before 21st Dec is entered into our competition to win their gents wedding band too! The winner will be announced on the 21st December at 12:30pm live on Facebook @luvolivia. If a winner has already purchased rings from Luv Olivia the value of the gents wedding band will be refunded back to them. The winner will be allowed up to £850 retail value. If the winner can’t be reached within 1 month of the draw via email, telephone or text a new winner will be drawn live in the month of January the following year. If a gents wedding band is not required, jewellery items through Luv Olivia up to the same value may be claimed instead.